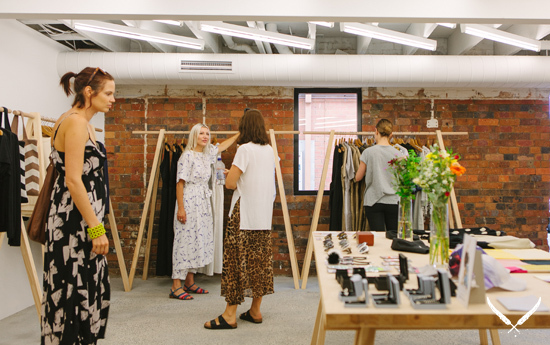 Some of you may have noticed that Brisbane's beloved store for independent and avant-garde fashion — Blonde Venus — has moved from her longstanding location on Ann Street, Fortitude Valley. After a decade and a half in this spot, this is pretty massive news for the local retail scene. The stylish lady behind Blonde Venus is Thea Basiliou, a fashion maverick and leader of independent Australian retail. 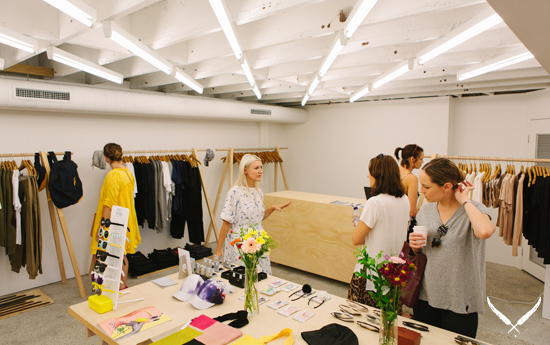 We caught up with her to get the low-down on the new BV store. TUL: Before we chat about your new digs, tell us a bit about Blonde Venus. 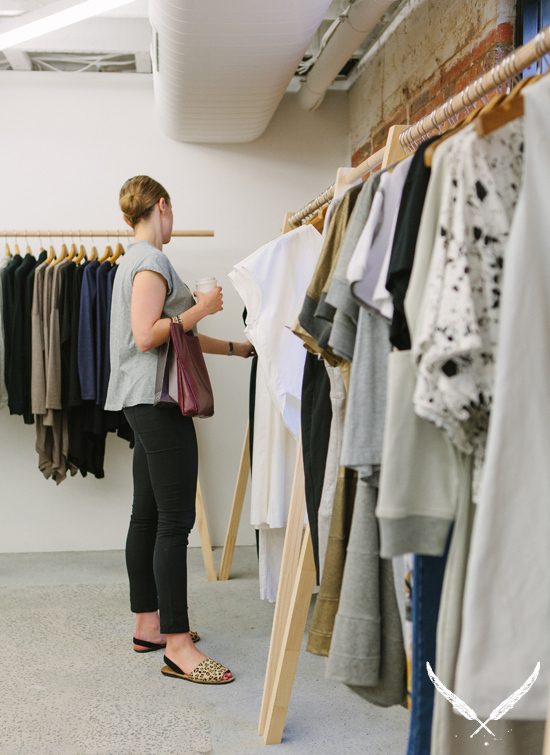 You started the store in the city in the early '90s, before moving to Fortitude Valley and opening your doors in 1995. What was the Brisbane fashion scene like in those days? It was a very exciting time in the growth of the fashion industry, especially for us in Australia. I remember having the feeling of anything and everything was possible. Brisbane was fairly detached from Sydney and Melbourne and that time was the beginning of bridging that gap. That was certainly my intention when I opened the store. The mood of things really turned around when Simon Lock started Australian Fashion Week. It was a big boost to our self-esteem and we really felt like we could start working on, and be accepted on, an international level. TUL: What inspired you to open your own shop? about creating the space. It was difficult to buy different labels then unless you were able to travel, and the world wasn't as open and small as it is now. I became obsessed about getting things to Brisbane that were new and exciting and that also included some local design from the relationships I had made through studying. TUL: The Valley was obviously a VERY different place in those days. Were you the first fashion retailer on that strip? nightclub area, which wasn't seen in a positive light by the mainstream. This made it even more alluring for me as that was my social scene. I loved the idea of being on the fringe, the outside girl. TUL: The previous BV store was beautifully minimalist, lots of black and white. The new store is all blonde wood, concrete floors, and concertina blinds (and a gorgeous new window box). Located on Robertson Street, tucked behind Libertine and next door to Jamie's — what a spot! What was in the space before? Who did you work with to realise the new look? Yes, I love the new space too! I searched for over a year to find the right spot and this was previously an office. My new landlords were keen to have me in the area and helped transform it in to a retail space. I love the fact that it's so close to James Street but tucked away a little to suit our identity. We have a lot of great neighbours whom I've known for a very long time (like Jamie's Espresso) and I feel like it's a comfortable space to access and shop in for our clients. I worked with Adrian Spence (from Richards and Spence) who also designed the previous Blonde Venus fit-out on Ann Street. I sent Adrian through a mood board of ideas, and we really understand each other. It's a great relationship to have when working on something together. The design ideas flowed quickly and easily so it wasn't difficult to come up with the look. TUL: You've always been loyal to Australian brands. What is it that sets us apart from the rest of the world? The Australian market is still very small but we have a constant flow of designers coming through that have that special thing that sets them apart from the mainstream, and works distinctively on the international market. I guess it is still our physical distance that has a lot to do with our need to be seen and heard. I have worked closely with fashion students at QUT over the last 10 years which has been a constant inspiration for home grown design, though they definitely think internationally. TUL: Do you think the move will have an effect on the direction of the store? After working in the same space for 18 years it has been great for me personally to almost come back in with fresh eyes and reassess what I'm doing with the store direction. I also had our logo rebranded by Tristan Ceddia (Nevernow, The Blackmail) so everything feels new and exciting. I have continued with most of the same labels but there have been a few changes as there are every season. I don't think the direction has changed, but it's like BV has been to a health retreat and she is feeling invigorated! TUL: What brands are you currently stocking? Any new names we need to watch? We are still mostly doing women's wear with a selection of men's wear. Our labels include Karen Walker, Dress Up, Verner, Pageant, P.A.M., Carly Hunter, Soot, BASE Range, POMS, Hansel from Basel. We stock a great label from Paris called Jacquemus who is quite young but receiving lots of international attention due to his fresh approach. He has been nominated for the LVMH award this year and we are stocking him exclusively in Australia which is quite exciting! TUL: What does the future hold for Blonde Venus? Strangely, after all these years, it is still the same journey. 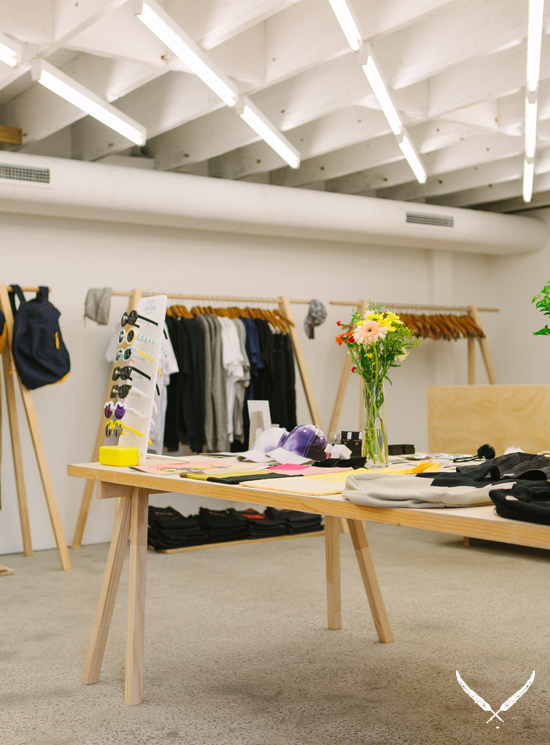 The store is about being a mecca for lovers of unique and progressive design in a comfortable environment. I'm always looking for the next thing and am obsessed about keeping it modern and fresh. It was an interesting exercise being closed for over 2 months during the move and getting lovely emails and messages from our regular clients who were missing the store. It feels like now more than ever, people are craving the intimacy of passionate bricks and mortar retailers. It's wonderful, and it keeps me inspired and motivated.